Bathroom Suites are a set of coordinating fittings for a bathroom, comprising mainly of bath, washbasin, and toilet. Most brands manufacture bathroom suites in different styles, sizes and budgets. These are ready to fit and take away the hassle of selecting individual pieces and match them up. Generally when you are building new, bathroom suites may be the preferred choice. Before buying a bathroom suite, consider the rest of bathroom decor and overall look and feel of the complete room. Below we have showcased series of bathroom suites from different manufacturers, and these sets come in different sizes. Bathroom Suites must be purchased depending on the size of your bathroom. Take your time to ensure you choose the right product for your bathroom. A bathroom suite represents a pretty big investment for most people, and it's something that you're going to have to live with for years to come, so it's important that you make a well-informed decision, from quality and colour to budget. 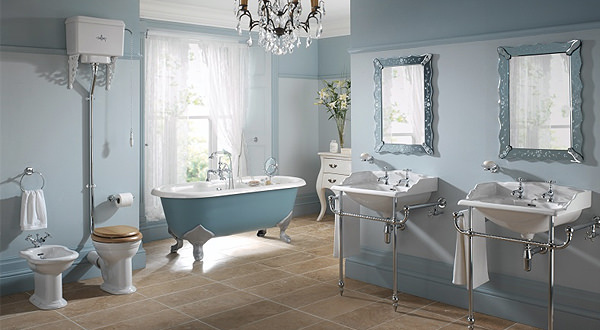 Lets consider the things that you need to keep in mind when choosing a bathroom suite. Generally, it's a better idea to buy all the elements of your bathroom suite in one package. The reasons are simple, this saves money, effort and time and you'll be sure that everything matches and is compatible. You'll need to carefully measure your bathroom to ensure that the pieces of your bathroom suite fit perfectly. Don't forget that you're going to have to leave space around the sink and toilet, as well as in front of the bath. And if you're going for a fitted shower, you may need to leave room for the shower door to open too. You also need to think about the elements that you need. A sink and toilet are essential, but a bath isn't always. If your family doesn't often use the tub, then you might want to think about getting a smaller corner bath, or even omitting the bath altogether and going for a walk in shower instead. 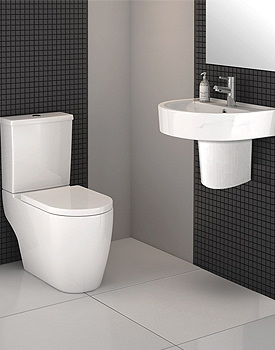 Bathroom Suites nowadays come in a wide range of different styles and colours. While it may be fashionable now to go for a bright coloured suite, it's worth remembering that styles change quickly, and a bathroom suite is generally a long term investment. It's usually a better idea to get a white, simple bathroom suite that will stand the test of time. You can always accessories your bathroom with on trend tiles and décor to personalise it. These changes may be easier to change over time than reinstalling a whole new bathroom suite.